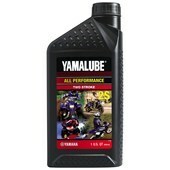 This technologically advanced semi-synthetic base stock and additive 2-stroke engine oil provides all-season performance and greatly reduces visible smoke. Low deposits and reduced carbon and varnish deposit means longer engine life and greater performance over time. It provides exceptional lubrication in all temperatures, and a special additive maintains flow and prevents “gelling” in sub-zero conditions.